ScummVM, the program that lets you play classic adventure games on modern computers, consoles, phones, and tablets, has been updated with support for four new engines, bringing support for six new games: 3 Skulls of the Toltecs, Eye of the Beholder, Eye of the Beholder II: The Legend of Darkmoon, Hopkins FBI, Tony Tough and the Night of Roasted Moths, and The Journeyman Project: Pegasus Prime. In addition to the new games, there's support for the Macintosh version of Discworld 1. On the LucasArts side, music has been improved in the Macintosh version of LucasArts adventures, and there are major bugfixes to the bike fight sequences on Old Mine Road in Full Throttle. There are also other changes included as well, such as an update to the latest Roland MT-32 emulation code, a new grid chooser for save games, an extended FluidSynth configuration dialog, and Belarusian, Finnish and Galician translations for the GUI dialogs. 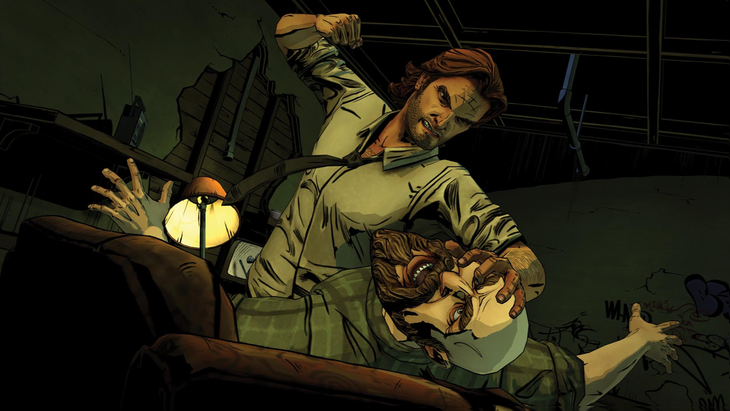 The Humble Weekly Sale this week is a Telltale Bundle. Pay what you want and get Back to the Future: The Game, Hector: Badge of Carnage, Poker Night 1, Puzzle Agent 1, Sam & Max: The Devil's Playhouse, and Wallace & Gromit's Grand Adventures. The games are all on PC and Mac (except for Wallace & Gromit which is PC only) for Steam and DRM-free (except, strangely Hector episode 2 (and only episode 2) for Mac, which is Steam only). You'll also get downloadable soundtracks for Hector and Puzzle Agent. If you pay more than the average (currently less than $5 USD), you'll also get The Walking Dead for Steam. The penultimate episode of Cognition: An Erica Reed Thriller by Phoenix Online and Jane Jensen, is now available from The Phoenix Online Studios Store. In this episode, you don't just play as Erica Reed, but you get to play as the killer who has been playing games with her. The finale is scheduled to be released in the third quarter of 2013. Game Informer's exclusive first look at The Wolf Among Us is now online, so those who don't subscribe to the print or digital magazine can see for themselves how close to the comic book Telltale has gotten with the game's art style. These screens (and all of the rest of the shots from the Game Informer article) are all in-game screenshots. 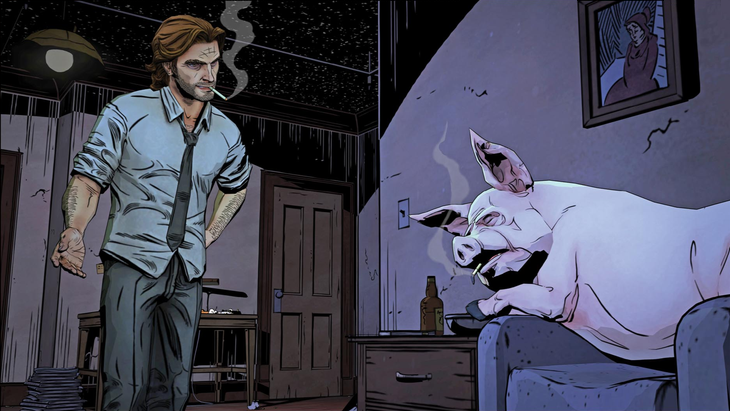 The first episode of The Wolf Among Us is scheduled to be released some time this summer. In related Telltale Games news, Poker Night 2 was released a few weeks ago for PC and Mac through Steam, for the PlayStation 3 through PlayStation Network, and for Xbox 360 through Xbox Live Arcade.